ICU Dementia: How Hospitals Can Prevent It : Shots - Health News People who suffer from prolonged delirium in the hospital are likely to develop long-term mental problems like dementia. Doctors have come up with techniques they say can reduce delirium in the ICU. 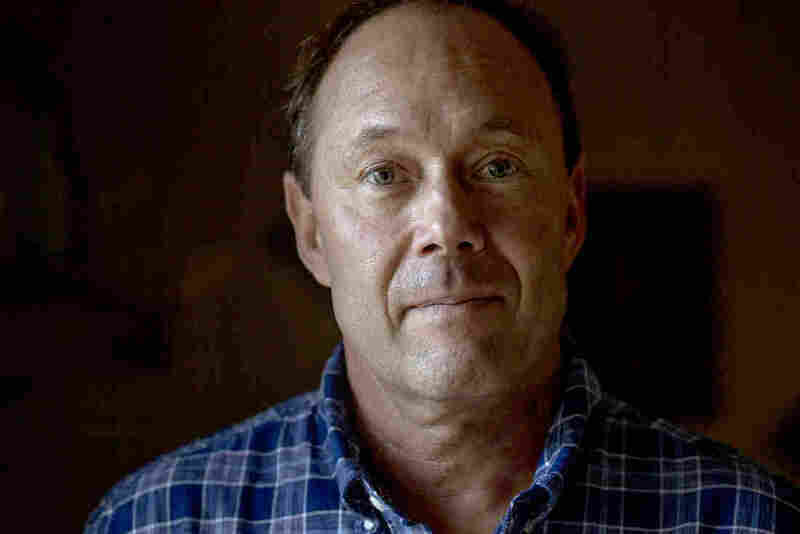 Randy O'Burke at his son's home in Hendersonville, Tenn. After an overwhelming infection sent O'Burke into five-organ failure, he also developed ICU delirium, perhaps related to heavy sedation. An ICU protocol developed at Vanderbilt University Medical Center found that getting him on his feet sooner was key to speeding his recovery. But research shows you are less likely to suffer those effects if the doctors and nurses follow a procedure that's gaining ground in ICUs nationwide. The steps are part of a bundle of actions aimed at reducing delirium in ICU patients. Doctors define delirium as a usually temporary state of mental confusion characterized by a lack of focus, difficulty in understanding what's going on around you and, sometimes, hallucinations. Following this checklist of actions can reduce the risk of mental impairment following an ICU stay by 25 to 30 percent, says Dr. E. Wesley "Wes" Ely at the Vanderbilt University Medical Center. (This post-ICU condition is separate from memory problems that can arise after heart surgery and general anesthesia in the elderly). It isn't simply detailed medical care — it's a philosophy. "I think the most modifiable piece of this is what we do to the patient," Ely says. "And what we do to the patient [that] is dangerous is immobilize them chemically [with drugs] and physically, and then not allow the family there, and allow them to subsist in delirium." When Ely started in the ICU years ago, he realized every doctor made different decisions about basic matters such as how quickly to get a patient off the breathing machine. He figured those small decisions might be having a big impact on the patient's recovery. So he gradually built an evidence-based checklist of the best way to handle the basic tasks that most quickly get patients back on their feet. First, medical researchers developed a system to determine when it was safe to take a patient off a ventilator. Next, Ely says, "we started standardizing how to remove people off of sedation. Then we came up with a way to measure whether your brain was delirious or not." Dr. E. Wesley Ely at Vanderbilt University Medical Center in Nashville, has developed a checklist of procedures in the ICU that reduces long-term mental deficits by easing sedation, getting patients up and around earlier and helping them stay oriented to their surroundings. Ely has dubbed this checklist the ABCDEF bundle. Other elements include assessing pain, managing medications, testing patients' ability to awaken spontaneously, and getting them up and about quickly. 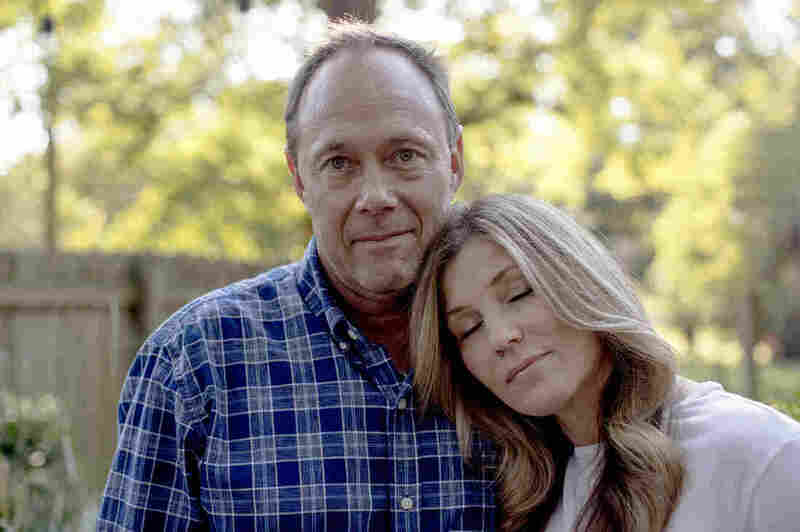 Randy O'Burke, 49, recently experienced the treatment regime after he was rushed to Vanderbilt with five failing organs — his brain, heart, liver, lung and kidneys. His saga started out in Los Angeles, where he lives. He'd eaten a tuna sandwich that he suspects had gone bad. The next morning, he hopped a flight with his wife Karen to visit their son in Nashville. "We got on the plane and I just didn't feel right," Randy says. He told his wife his stomach was bothering him. The symptoms kept getting worse once they were in Tennessee. Even so, his wife says, she couldn't convince him to go to a doctor until his symptoms were out of control. He was rushed to the emergency room closest to his son's house, a half-hour from Nashville. "They started putting in tons of [IV] lines and going to work and doing different things," Karen recalls. It was all a blur to her. 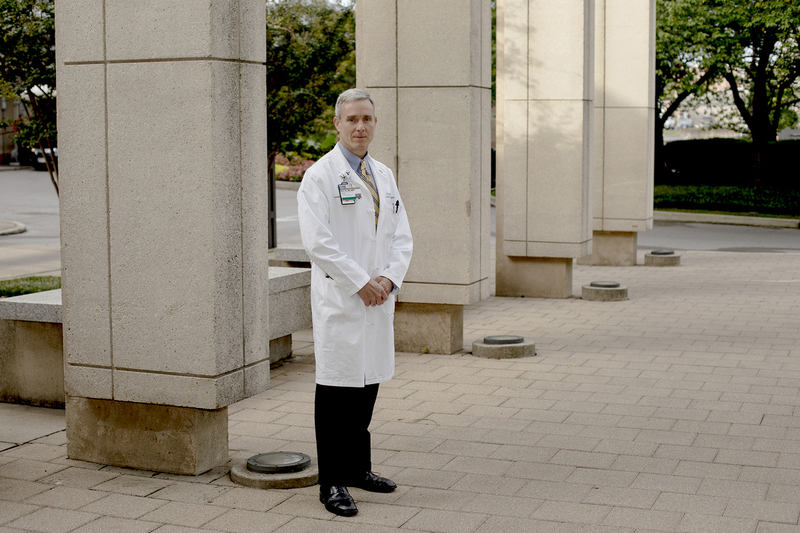 "Imagine the shock when you go in there and [doctors say] 'Oh, every organ is shutting down.' "
O'Burke was diagnosed with sepsis, which is a leading cause of death in hospitals. It's the body's overwhelming reaction to an infection. O'Burke's case was so bad, he ended up on a respirator and kidney dialysis. Drugs sunk him into a state of quiet delirium. Why Do ICU Patients Get Delirium? "He was supposed to be lightly sedated and he was heavily sedated," Karen says, "and that was not a good thing." She says when the doctors told her to start calling next of kin, she knew it was time to get him transferred to a hospital better equipped to treat him. That's how he ended up at Vanderbilt. Within 24 hours of his arrival, Randy's condition had turned around completely, Karen says. He was off dialysis, the ventilator, and off the drugs that put him into a delirious haze. "Apparently, I'm pretty much of a miracle," he says. The doctors told him that the chance of survival for a patient with five-organ failure is about one in a thousand. Recovery still lies ahead, as his mildly slurred speech suggests. "I'm starting to get my faculties about me," Randy says. "My brain's starting to work really good again. But just the fact that I can carry on a conversation right now is pretty amazing in itself." As part of this more rapid recovery trajectory, ICU nurses got him out of bed as soon as possible. "I've done laps around this place!" he says. An enormous amount of medical care went into O'Burke's recovery. Overlaid on that was the bundle of steps to reduce delirium. Those are now baked into the checklists that nurses, respiratory therapists and doctors use with every ICU patient they treat at Vanderbilt. "Getting you out of bed early ... cuts delirium in half," Ely tells the O'Burkes, as he explains the reasoning behind the bundle. "E" stands for Early Mobility and Exercise. And "F" — having family members present in the room and talking to medical staff — also makes a notable difference in motivating patients to be alert and moving about. Ely explains to the couple that this bundle of procedures is a big change from what many ICUs still do, which is to knock out a patient and treat their dysfunctional body, rather than focusing on them holistically. "To me the linchpin of this whole thing is to respect the humanness of each patient," Ely says. Vanderbilt's protocol, when systematically followed, can make a big difference to a lot of patients. One study involving 6,064 patients showed that the approach increased the odds of surviving and decreased the amount of time people spent delirious or in a coma. Ely is lead author of another study, with the Society of Critical Care Medicine, which has enrolled 15,000 patients at 68 ICUs around the country. Findings from that soon-to-be published study add more support for the practice, Ely says. (The study is funded by the Gordon and Betty Moore Foundation, which has supported science coverage on NPR). Gradually, the bundle of techniques for reducing delirium has been adopted at many ICUs in recent years, Ely says, but is still not the standard everywhere. "About half [of hospitals] from our last survey have been doing some elements of the bundle," he says. Pulling it all together, A to F, can be a challenge. Randy and Karen O'Burke together at their son's home in Hendersonville, Tenn., last week. "Apparently, I'm pretty much of a miracle," Randy says. "It was not as easy as we expected it to be," says Dr. Kirk Voelker, a critical care intensivist at the Sarasota Memorial Hospital in Florida. His hospital was part of the 15,000-patient study that Ely coordinated. Voelker says he found that patients can require more time and attention if they're alert in bed or walking up and down the hallways with their respirators in tow. And for the staff, "we're talking about a cultural change," he tells NPR. "We had to get buy-in from the nursing staff. Once we were able to get that buy-in, then you have to have buy-in from the physicians also." That's harder in a community hospital, he says, where physicians are more independent and may only do rounds three days a week. The ideas slowly took hold, he says, though there's still resistance to using the "A through F" checklist to make sure every element is attended to every day in every patient. The concept behind the protocol has become the rule at his hospital, Voelker says, "but actually going through and saying 'ABDCEF' is the exception." It was even a challenge to make the protocol routine at the medical center where it was pioneered. Joanna Stollings, a clinical pharmacist in Vanderbilt's ICU, says when she arrived at the hospital, it was clear what needed to get done, but nobody was responsible for seeing it through. "It needs somebody to coordinate this, who's going to be here every single day," she says. "And so Wes [Ely] helped me kind of champion this project, to really empower the nurses and respiratory therapists to make sure this happens every day." Ely's mission now is to make what his hospital does standard around the world. For one thing, it can actually reduce the cost of care, he points out, by reducing the amount of time people spend in expensive ICU units. "But the most important thing, of course, is not the money, it's the human being," he says. "So if they're getting better care, surviving more — often with a more intact brain — and not bouncing back to the ICU ... to me that's a win-win."